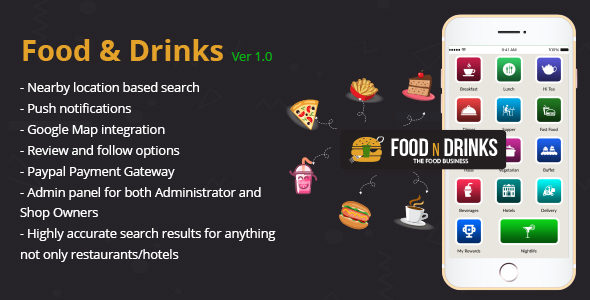 Food and drinks is a mobile-based application in which user can search nearby restaurants and hotels with the help of GPS. 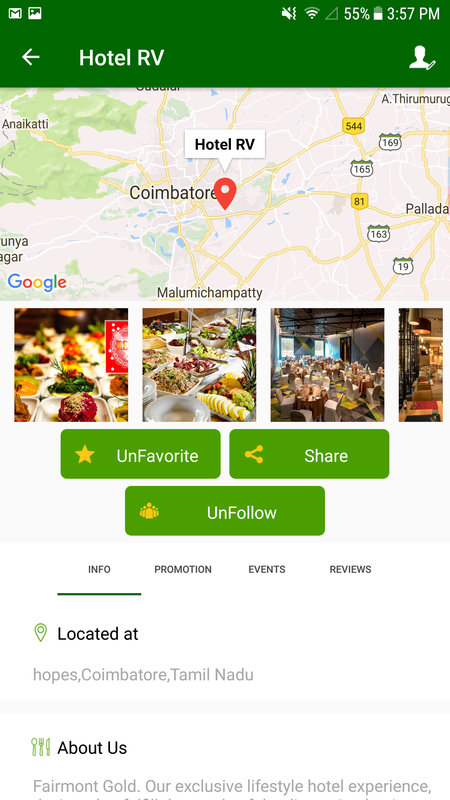 A user can view Location and Shop info for individual hotels/restaurants. Based on user satisfaction, they can review and follow the shop. For every shop, four services are available. Classification displays the cultural foods, in which the user can select their favorite food and search their nearby hotels/restaurants. If there are any events conducted in the hotels, they will be displayed in shop info. If any offer/coupon awarded from the shop, that will be updated to the user.